It’s amazing what you can do with an Avocado and when I discovered how easy it was to make this Low Carb Baked Avocado with egg and pancetta, I was surprised I hadn’t tried it before! 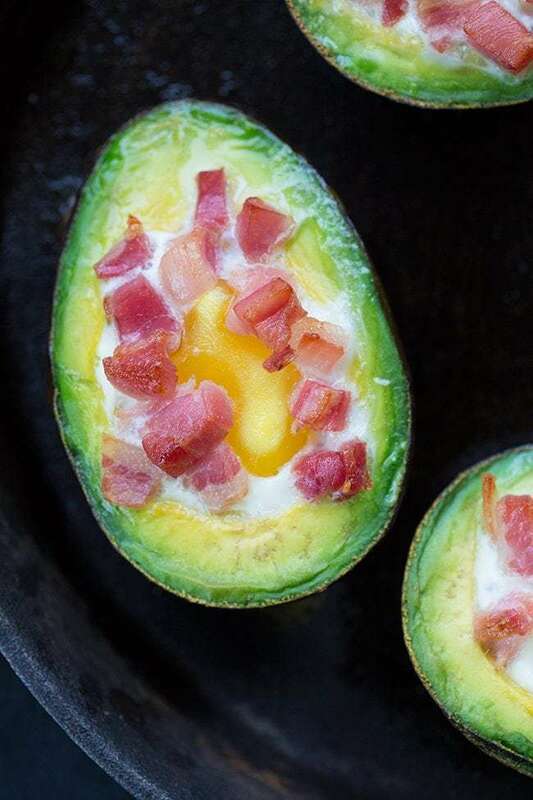 Making Low Carb Baked Avocado with Pancetta and Egg is as Easy as 1, 2, 3 Ingredients! 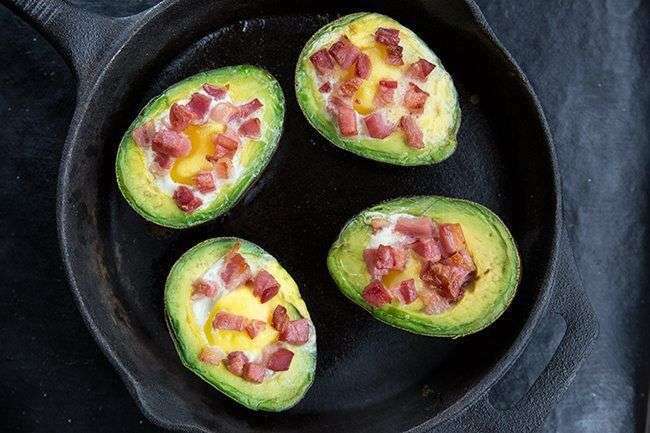 These are perfect for low carb diets, Keto diets, the South Beach diet or those of us that love eating avocados, eggs and bacon. Which would be me, of course. 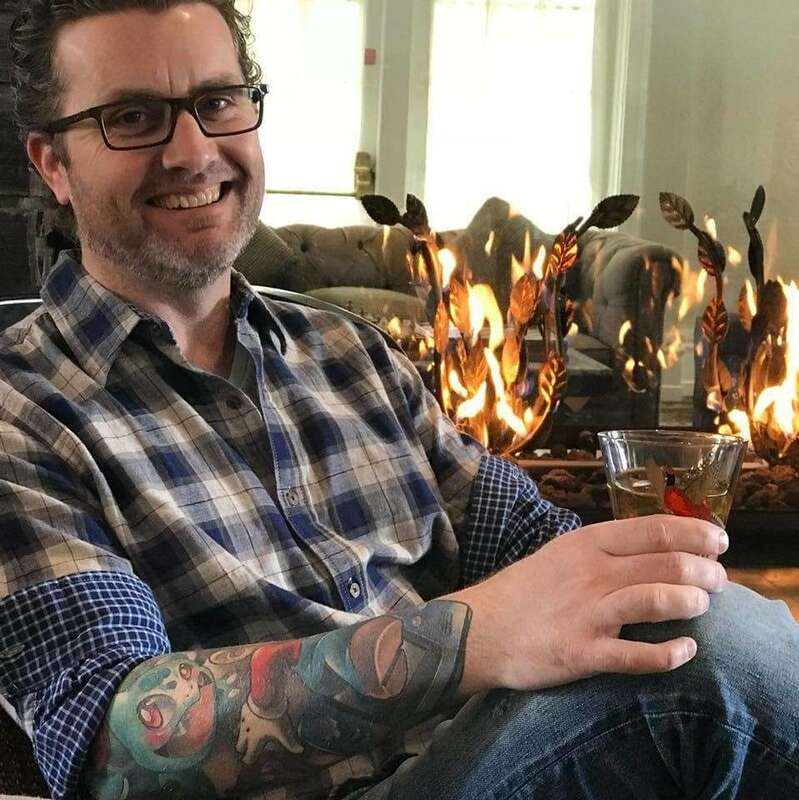 With a few family members that eat low carb, I’ve been working on a few recipes over the year that fit into their needs. This would be one of them. If you’ve never had Pancetta before, it is basically an Italian bacon made from Pork Belly Meat and folks, it’s delicious. It’s also meatier than normal bacon so you get more bang for your buck protein wise. The combination of salty pancetta with egg and avocado is to die for! Just look at it. You can almost taste it through the picture. I realize this isn’t a super complicated recipe but nonetheless, here’s how you prepare it. Start by removing the pit from the Avocado and then crack an egg into the nice little hole that remains. 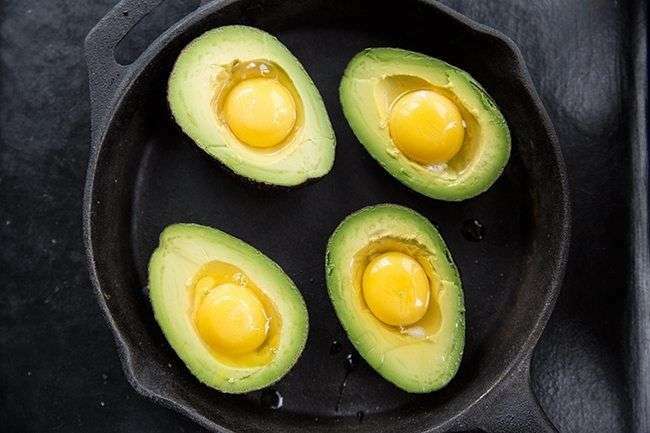 Add your egg right into the hole left by the Avocado pit. Now top the egg with some chopped up Pancetta (you only need about a tablespoon or so for this recipe but feel free to adjust as desired. Add pancetta chunks on top of the egg. Now just place it in the oven for around 15 minutes or so (or until the egg reaches your desired consistency. It’s as easy that! Using a knife, cut the avocado in half and pull apart gently so that you can just pop the pit out easily. When removing the pit from the avocado, try to keep the cavity in tact to hold your egg. You can also substitute the Pancetta for other meats such as ham or normal bacon if desired. Happy cooking and I hope you love this as much as we did! If you like the recipe, please give it a rating or share it on social media to help spread the word! 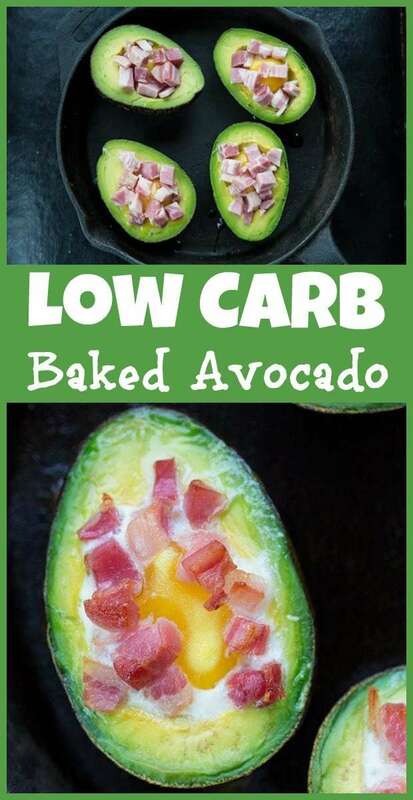 It's amazing what you can do with an Avocado and when I discovered how easy it was to make this Low Carb Baked Avocado with egg and pancetta, I was surprised I hadn't tried it before! Cut the avocados in half, and remove the pits, trying to keep the indent left from the pit intact as much as possible. 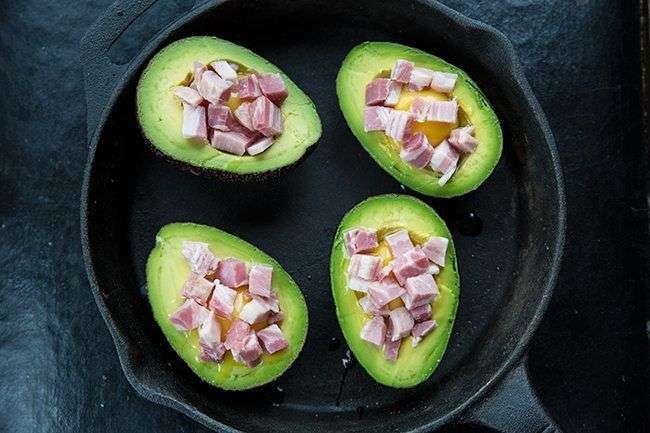 Top the avocado with desired amount of diced pancetta. Place in the oven and bake for 15 minutes or until the egg reaches your desired consistency. Feel free to substitute pancetta for bacon or ham too!